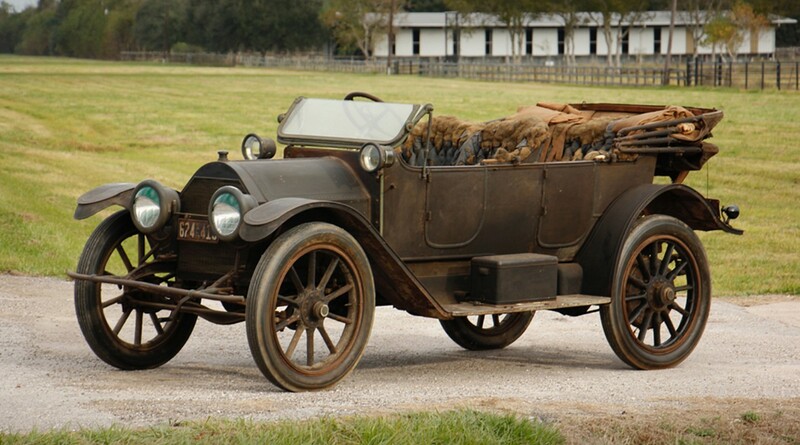 The Model 30 was introduced by Cadillac in 1909 and it was the first model that really pushed Cadillac to the top of the heap among American automakers. The model underwent slight changes (and engine enlargements) year after year until it was ultimately replaced for 1915. Over the years, a variety of body styles were offered and this car sports a Four-Door Touring body which was the entry-level style offered in 1912. The price would’ve been $1,800. It’s powered by a 4.7-liter straight-four making more than 40 horsepower. That engine, famously, has a built-in starter. No crank required! If only modern IndyCars could figure out how to use that same, 100-year-old technology. Let’s talk appearance: this car has a wonderful patina and is all-original. We’ll call it “time warp condition.” And it has an amazing story: last used on the road in 1923, a man bought it from a used car dealer in 1935 for $10! It’s amazing and will sell without reserve. If you have the know-how (or resources) to get this back to roadworthy condition, it’s a must-buy. Click here for more info and here for the rest of Worldwide’s lineup. This entry was posted in Uncategorized and tagged 1912, auctions, cadillac, cars, classic cars, four-passenger touring, model 30, worldwide auctioneers by classiccarweekly. Bookmark the permalink.